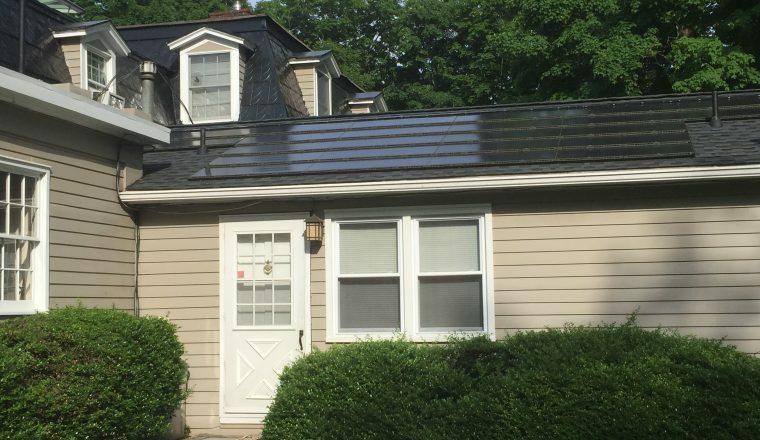 SunTegra® Solar Shingles attach directly to a roof and integrate with composition shingles and other low profile roofing materials, providing customers a durable roofing material and low-profile, high-performance solar system in one! SunTegra’s lightweight design and integrated wiring reduces complexity and increases the speed of installation. 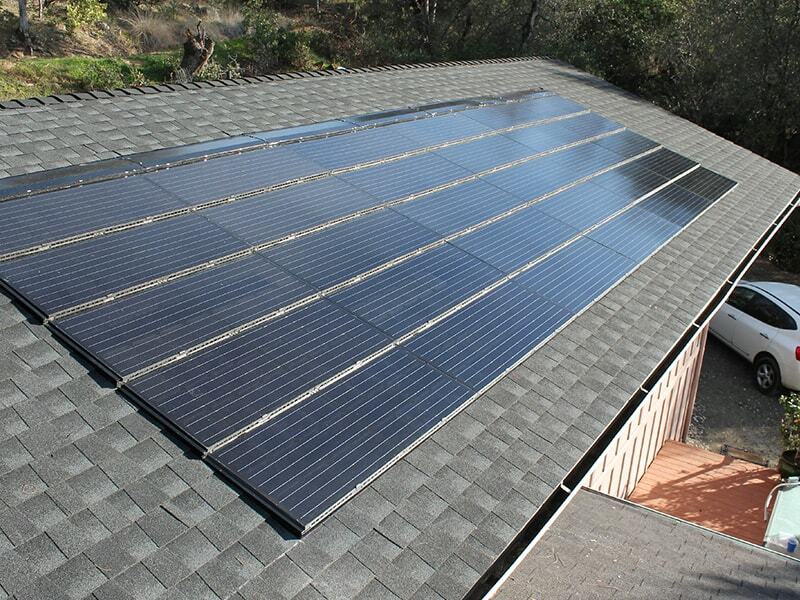 SunTegra roof systems use 50% fewer parts than a conventional rack-mounted solar system and install in half the time. Functions both as a solar panel that generates electricity and a roofing material that protects your home or building. 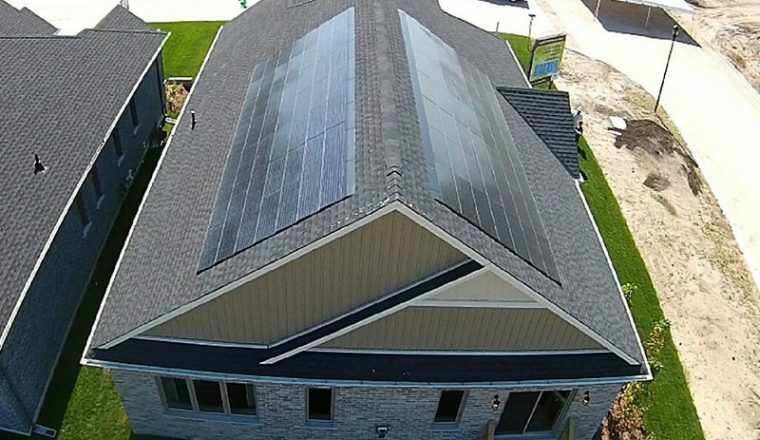 Dual solar and roof functionality allows enhanced property resale value and added roof saving because roofing shingles and tiles are not required underneath the solar system. Unique roof-integrated design blends in seamlessly with the roofline, maintaining architectural integrity and preserving curb appeal. Based on proven solar technology and materials, carries both solar and roofing certifications, and features a best in-class warranty and exceptional wind, snow, and fire ratings. 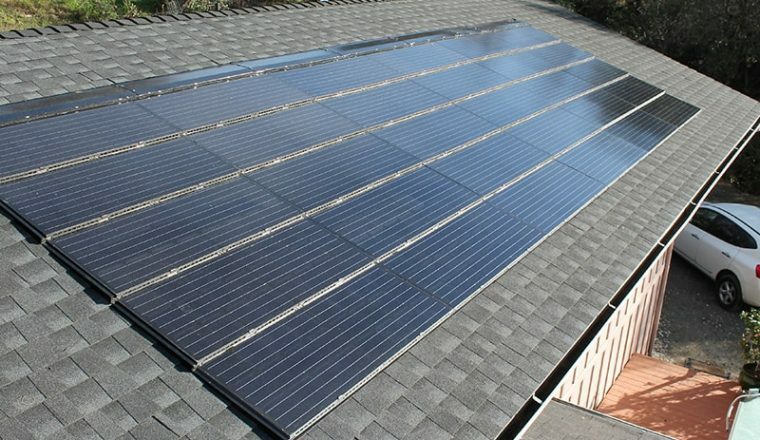 Performance is comparable to standard high-efficiency solar panels and unique Tegravent technology enables superior energy performance ratings compared to other integrated products. Integrated design reduces complexity and speeds installation, requiring 50% fewer parts than conventional rack-mounted systems.